This adorable cake would be fun for a family reunion or a back to school party. Great for a fall or harvest celebration as well. 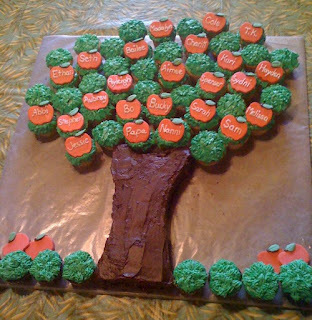 use cupcakes and a sheet cake to make this edible apple tree.